Now that the high school basketball season is upon us, I would like to take this opportunity to advise you of some of the unique rules that apply to all high school basketball games in Manitoba (Varsity and Junior Varsity). Although the following rules specifically apply to MHSAA games, MABO is recommending that we use these interpretations for all levels of play from high school and below; unless, of course, specific leagues indicate otherwise. a) Art. 4.3.2 - Teams shall use the preferred FIBA numbers from four (4) to fifteen (15). However, MHSAA has approved, for their competitions, any other numbers with a maximum of two (2) digits. a) Art. 4.4.2 - T-shirts under the playing jersey are allowed as long as they are the same dominant color as the jersey. b) Art. 4.4.2 - The FIBA rule stating that only “non-coloured transparent mouth guards” are permitted shall be disregarded. Therefore, mouth guards of any colour(s) are permitted. c) Art. 4.4.2 - The FIBA rule stating that only “non-coloured transparent taping of arms, shoulders, legs, etc.” is permitted shall be disregarded. Therefore, taping of arms, shoulders, legs, etc. is permitted with any colour of tape. a) Unless otherwise indicated, there shall be a half-time interval of play of ten (10) minutes. a) Art. 37.1.2 – Under no circumstances shall the “Captain” replace a coach or the assistant coach who has received a disqualifying foul. i. 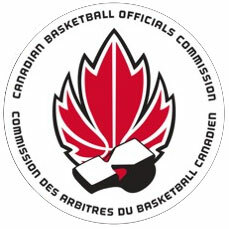 Most school divisions (Boards) do not allow a disqualified player to leave the playing court without proper supervision. If proper supervision is not present, then the disqualified player must remain on the team bench under the supervision of the coach(s) and/or school personnel. 5. Dunking during an interval of play – observe the conference/school/tournament rules regarding dunking and penalize accordingly.